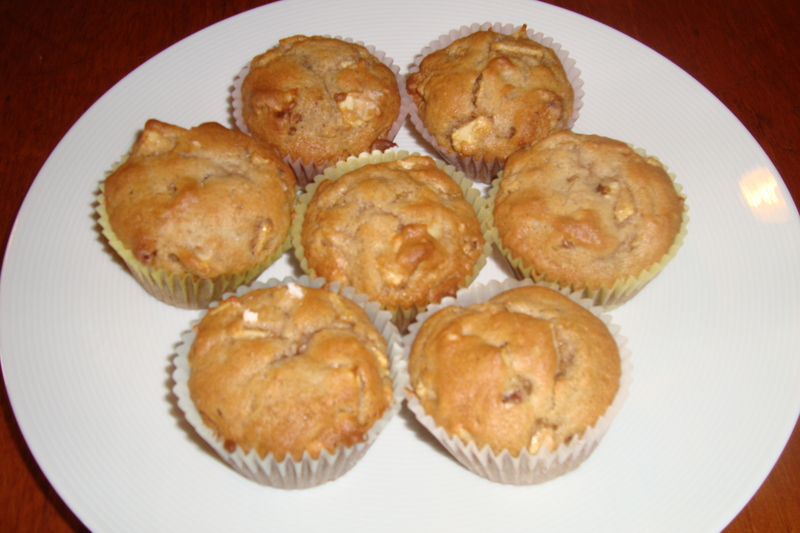 We took the dogs camping at Leo Carillo State Park this weekend, and for breakfast I made a batch of apple muffins (in advance, not at the camp site). We finally finished off the huge back of apples that my dad brought us! 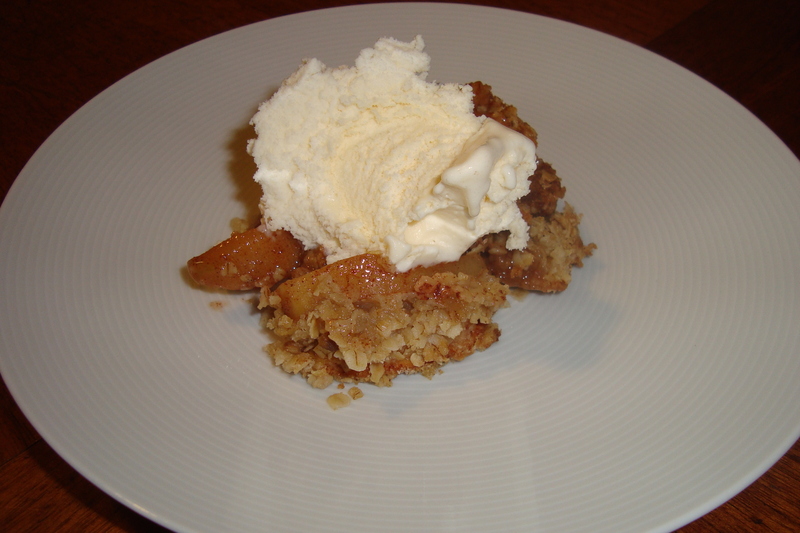 In addition to eating them plain, I made an apple crisp recently. For the muffins, I used the recipe from Joy of Cooking. I was really impressed with their portioning! I multiplied the recipe amounts by 1.5, and it made exactly 18 muffins. We ate them the next morning after sitting in a freezing car overnight, and they were still moist. Preheat the oven to 400 degrees F and line a muffin pan with paper liners. Combine the dry ingredients (flour, baking powder, baking soda, salt, cinnamon) in medium-sized bowl. In a large mixing bowl, combine the eggs and sugar. Add the apples, stir in, and allow to stand for 10 minutes. This is what makes the muffins flavorful and juicy! Add the butter and walnuts to the eggs, sugar, and apples. Stir to combine. Slowly add the dry ingredients to the wet ones, and stir gently to combine. The batter will be thick and somewhat lumpy. Spoon batter into the muffin tins, so that each cup is about 2/3 full. Bake for 15 minutes.